I'll provide all parts & pieces, plus a tutorial and pictures of each card. 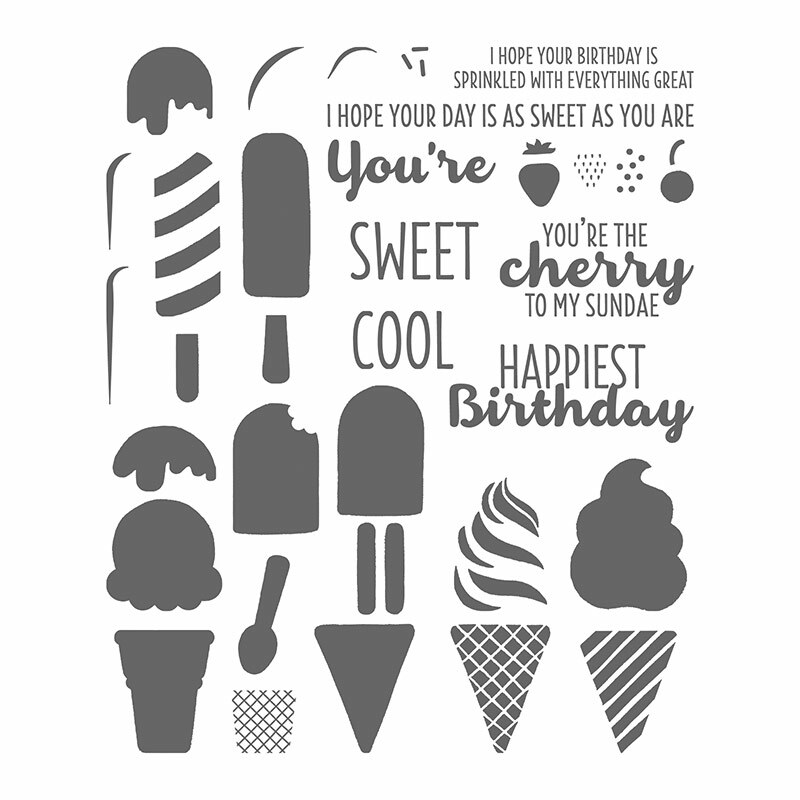 You'll make 8 cards (2 each of 4 designs) and receive the Cool Treats Stamp Set with your TO GO kit!! These are super-sweet, cute cards - perfect feminine cards, kid cards or just plain fun birthday cards!! Your Class To Go Kit includes the Cool Treats Photopolymer Stamp Set (a $32 value) plus supplies for 8 projects (2 each of 4 designs). Each will be scored and punched where needed and organized for easy assembly. You will use your new stamps along with your own ink to complete each project. A full color, step by step tutorial is also included. All kits will ship Priority Mail on or before March 8th. To reserve your TO GO kit, just email me at amy.frillici@yahoo.com or call/text (989) 330-0259. Please RSVP and prepay by Friday, February 24. I wish you an Inspired day! !